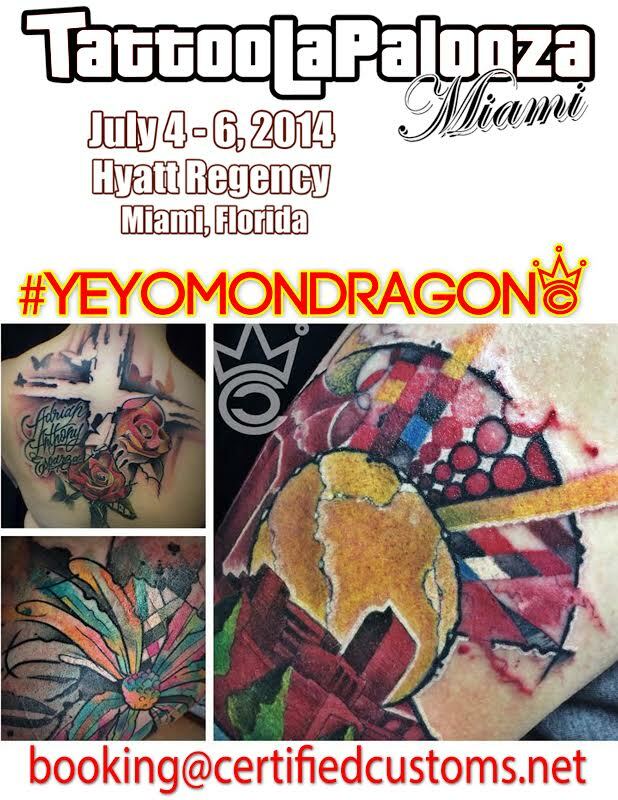 Home / Miami / Abstract Tattoo Artist "Yeyo Mondragon" in Miami at Tattoolapalooza! Abstract Tattoo Artist "Yeyo Mondragon" in Miami at Tattoolapalooza! YEYO MONDRAGON will be tattooingthis year at “Tattoolapalooza” at the Hyatt Regency July 4-6th! Email now for your appointment.